There are few things crazier than a man who is about to turn 40. Everyone seems to react to it a bit differently. One friend decided to get into "the best shape of his life," a fairly common reaction. I turn 40 this October, and had the misguided notion that I needed to dunk a basketball for the first time in my life, a plan that quite literally has not gotten very high off the ground. Is there something psychologically significant about approaching 40? Something that tells us that our best days are behind us? Years ago, some enterprising 39-year old golf addict figured out that the 40th birthday is an iron-clad excuse to take a killer golf trip. Like most middle-aged men with young families, any golf trip requires a careful juggling act between spousal support and parental responsibilities. In my house, this usually starts by "floating the concept", which can be something as non-threatening as "Jeff's talking about going to Ireland again" or even more direct like "I got invited to play in this tournament". It's not as much about gaining spousal approval as it is about gauging the initial reaction -- determining whether it's something you want to pursue further. I have concept floating down to a science, though my success rate is driven largely by having an all-world wife (and the fact that I wait until she's half asleep to bring it up...yes, flights have been booked and tee times made based on groggy, incoherent grunts). For whatever reason, that 40-year old golf trip is a different animal. Whereas most buddy trips require "cashing in some chips", generally wives are completely on-board with the special 40-year old trip. Some even do all the planning! 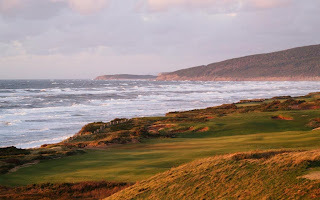 A friend last year left us all speechless and completely envious when he was heading straight from our weekend at Ballyneal to San Francisco for a round that his wife set-up for him at Cypress Point! Other friends have set-up similar once-in-a-lifetime trips to Monterey, Australia, Ireland and Bandon. With that as a backdrop, my beautiful wife Sue repeatedly asked me, "what do you want to do for your 40th birthday?" 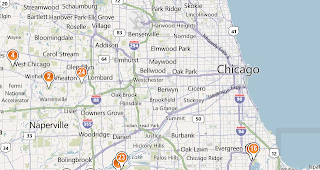 Immediately, I gravitated to some of those same popular golf destinations mentioned above. But eventually, my heart and head brought me back to Hundred Hole Hike and wanting to do something to raise awareness for the event in general and hopefully a lot of money for a worthwhile cause. Eventually, I had one of the single greatest moments of enlightenment in my 39 years and 4 months of existence: why not do both? 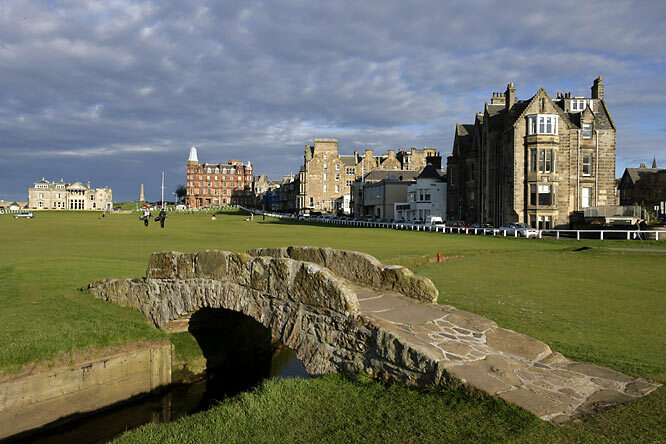 Four world-class golf destinations. Four of the top 100 golf courses in the world. Four once-in-a-lifetime trips in 15 days. Four Hundred Hole Hikes or bust. All of this will walking will be to raise awareness and money for the Solich Caddie & Leadership Academy at CommonGround Golf Course in Denver. The academy can be viewed as a feeder program for the Evans Scholarship Foundation -- essentially it identifies 8th graders from the diverse neighborhoods surrounding the course, teaches them the ropes about caddying while also providing life-skills and leadership training. After two summers of CommonGround, the academy graduates will migrate to the caddie programs at private clubs in the Denver area, where they will continue to gain valuable experience and hopefully be considered for an Eisenhower-Evans Scholarship. 1. Providing a path for success for a young person who might not otherwise get the opportunity. 2. Exposing kids to the game of golf who likely would never touch a club otherwise. 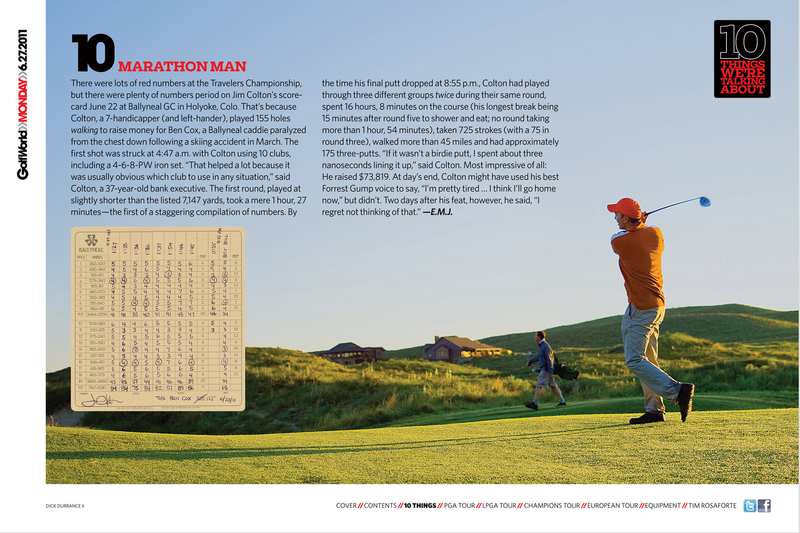 As a former caddie whose love for the game, like many others, was cemented during Monday rounds at the private club where I caddied, I often wonder if the mass migration from caddie golf to cart golf has wiped out a generation of future golfers. 3. Providing an incentive for golfers to try a caddie and walk the golf course instead of immediately hopping on a cart. The program essentially subsidizes the base caddie fee for the golfer, eliminating any economic reason for not taking a caddie. 4. Building a successful program and operating model that could leveraged in other parts of the U.S.
Now, back to this trip. Here is the specific itinerary and details about each hike. I will be driving from Chicago to North Carolina with the family for a mini-road trip. In the middle of all this, we have a Colton family reunion in Tennessee later in the week, so why not make it a family affair! 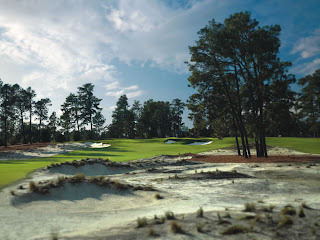 The original plan was to play all 8 courses at Pinehurst, 1 through 8 in order. However, one of the courses will likely be closed for maintenance that day, so the plan is to play seven different courses and start and finish with a round on the famed No. 2 course. Note that June 17th will be one-year away from Pinehurst being smackdab in the middle of hosting both the U.S. Open and U.S. Womens Open in back-to-back weeks, truly a historic event! 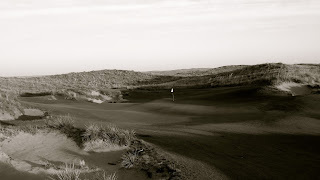 After driving back from Tennessee on or around June 22nd, I'll be hopping on a plane to Denver to join my brethren at Ballyneal. 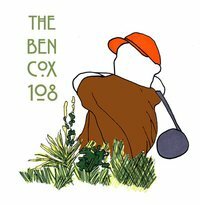 In a nod to my good friend Ben Cox, I'll be attempting to walk 155 holes again. Let's just hope that it's not 107 degrees like last year. There simply can't be a more ideal place in the world to spend a full day on the golf course than at the Home of Golf. I will be joining my good friends Todd Rohrer from The Mackenzie Golf Bag Company and Josh Evenson. They are looking to endow a golf scholarship at the University of St. Andrews. The Hundred Hole Hike event will correspond very closely with the 600-year anniversary of the University, which will forever be known in the Colton household as The University of Why Didn't I go to School Here? Details are still TBD, but it looks like our hike will begin and end at the Old Course (hopefully, we can avoid Peter Dawson's new bunkers at the 2nd), with other rounds mixed in at the other Links Trust courses nearby. From the oldest links course in the world to the newest. Cabot Links in Nova Scotia opened last year to rave reviews. It's been on my bucket list well before opening, and can't wait to play it 5 or 6 times, in one day. I'm even more excited to be joined by Ben Cowan-Dewar, co-owner of the resort and the one person most responsible for turning this golf dream into reality. Even more special is the fact that we'll be hiking on Canada Day, Canada's version of the 4th of July. and 499 holes hiked for charity! Let's just round that up to 500. If I have to crawl on my hands and knees, we'll eke out an extra hole somewhere. 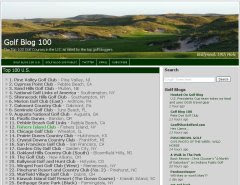 Please go to HundredHoleHike.com or http://hundredholehike.com/golfers/jim-colton to view my hiker profile. Streamsong Battle: Red vs. Blue?